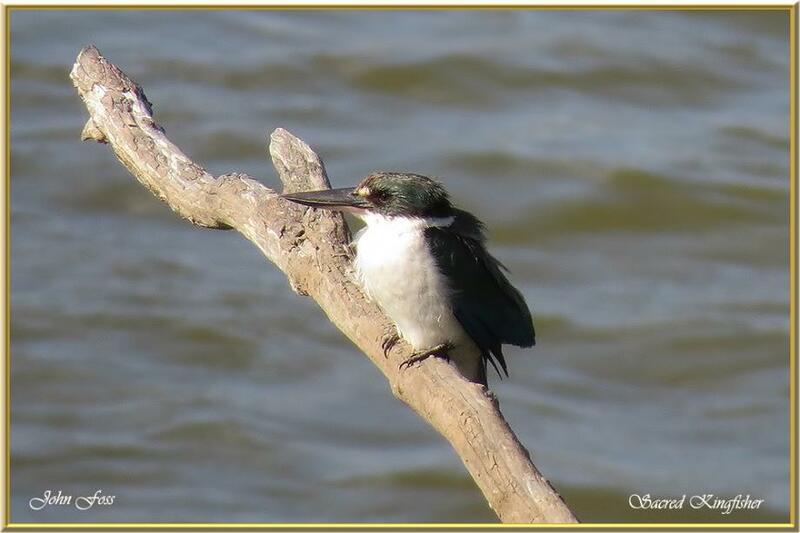 Sacred Kingfisher - occurs in mangroves, woodlands, forests, and river valleys in Australia. As well as fish this kingfisher will feed on small crustaceans, small rodents and reptiles. It will sit on a low branch and wait for prey to pass by as in this picture. Perched over the Burnett River in Bundaberg Australia.